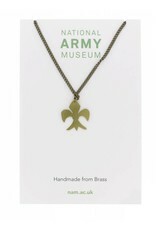 This collection of handmade jewellery is inspired by the National Army Museum's collection of over 80,000 pieces of military uniform. This ornate design is taken from the tunic of a drummer of the Coldstream Guards datin from 1855. The scarlet tunic is trimmed with white worsted lace bearing a blue fleur-de-lys design. 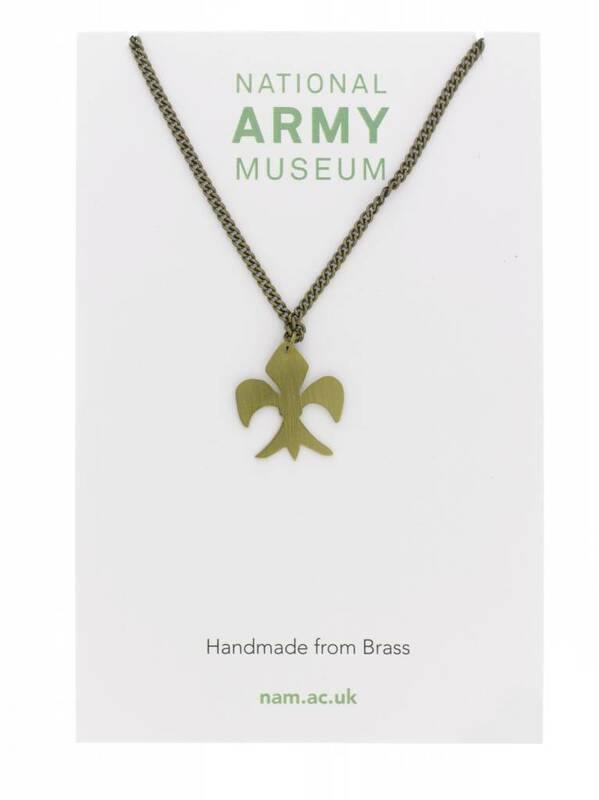 Designed exclusively for the National Army Museum by Just Trade who work in partnership with small fair trade projects across the world. This product is handmade by the Hope Jewellery Project which provides training and fairly paid work for women in some of the poorest shanty towns of Lima, Peru. By working with this project these women are able to educate their children and secure a better future for their families.